The term "First Friday" happens in a lot of places. Yes, people and businesses (especially the arts) celebrate the first Friday of every month. Don't ask me why, I just go with it! In the Lehigh Valley, Bethlehem is THE place to be, especially on the South Side. On 3rd St., businesses from the Banana Factory to Northampton Community College are open late and / or have live music and art / artists. Go down a little farther to the Steel Pub and ArtsQuest to wind out the evening. Head away from the Banana Factory (West on 3rd St.) to Rt. 378, make a left and you come to a strange intersection called 5 points (McDonald's on the right at light). Make a right onto Broadway (the wide street) and go up the hill. At one point, you will see the Art Establishment on the right. Be careful, it might be easy to miss depending on your speed. Here is another part of your First Friday experience. The Art Establishment may not seem that big from the outside. When you walk in, there is a serious surprise! With 2 floors, the main being a gallery and studios for different genres. The lower level is studios including pottery and painting. Check out the full review from earlier this year. The First Friday experience is a little different because of the layout and every one is different in the details. You can expect to find live painting / acoustic music / maybe a pottery class happening. The overall atmosphere is also what is different. You can relax and enjoy each part of First Friday here. The South Side of Bethlehem general area is the ONLY place to be on the First Friday of every month. The events usually happen between 6 and 9 p.m. Trust me, not a lot of time to stop by every place for more than about 1/2 hour. My suggestion? 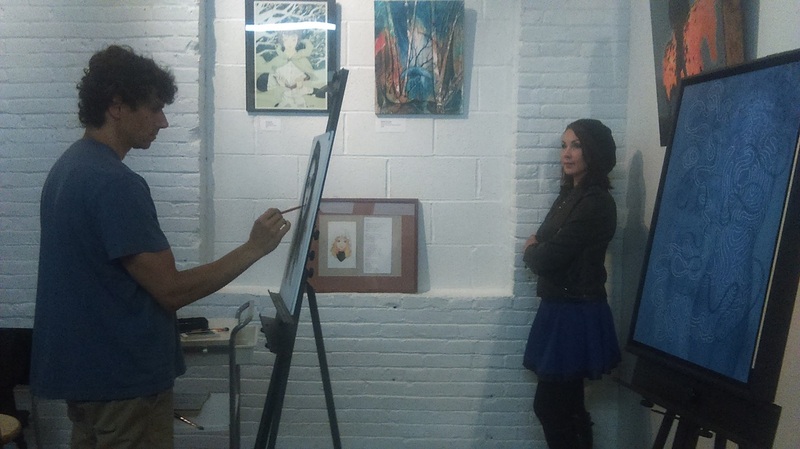 Start at the Art Establishment and work your way down to the Steel Pub / ArtsQuest. If possible, arrive here around 6 this way you can stand a chance at making all the stops. However your route goes, enjoy it!